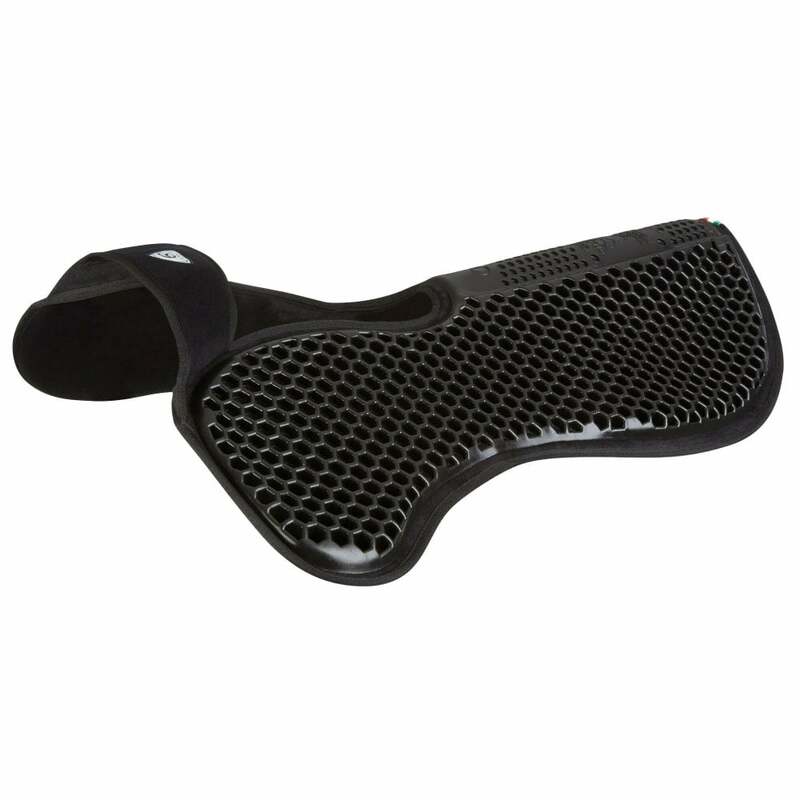 The Acavallo Wither Free Gel Pad with memory features a cut out at the wither to avoid compression whilst offering a close contact saddle fit. Featuring an anti-slip and shock absorbing hexagonal gel on one side in which air is compressed within the cells and expelled as the horse moves creating a cushion effect under the saddle and a suede finish on the other. The Acavallo Wither Free Gel Pad is ideal for custom-made saddles.